I have a confession to make. I'm not a Usain Bolt fan. Or perhaps it might be more accurate to say, I did not think of myself as one. He made sprinting look too easy; he eased up at the finish line and still set world records; he was uncatchable and untouchable. I thought it was boring. Bolt has had no genuine rival, no one with a realistic chance of beating him. I prefer my sport to come in twos. Give me Muhammad Ali and Joe Frazier, who pushed each other to greater heights, and in their third and final fight, gave such an exhibition of will, strength and determination that it will never be forgotten. Give me Roger Federer and Rafael Nadal, the artist vs the carpenter; one ruled the grass of Wimbledon, the other owned the clay of Paris, and together, they gave us arguably the best Wimbledon final ever in 2008. Give me Martina Navratilova and Chris Evert, who battled for the No 1 spot in women's tennis for over a decade, with one or the other ranked at the top for 592 of the first 615 weeks of the WTA rankings. The uncertainty of not knowing who will win is also one of the primary joys of watching sport. And underneath that is the possibility of witnessing something extraordinary, as two equals, or near equals, push each other to the limit, and then beyond it. The only opponent Bolt has battled since Beijing in 2008 has been time, both the passing of the years and the ticking of the race clock. In his own words, he wanted to be immortal, but I kept looking for someone to defeat him and turn him into a mortal. I wanted to see Bolt face adversity and find out if he could overcome it or not. I am a die-hard Carl Lewis fan; he was the track legend I grew up hearing about, the first man since Jesse Owens to win four track and field gold medals at one Olympic Games. Owens and Lewis remain the only male athletes to have done so. Lewis' collection would grow to nine golds and one silver, with this final gold medal the most improbable, a victory in the long jump at the 1996 Games when he was 35 years old. It was his fourth straight win in the long jump, matching an Olympic record, and nobody saw this coming. The accolades came think and fast. He was named 'Sportsman of the Century' by the IOC, 'World Athlete of the Century' by the International Association of Athletics Federations, and the 'Olympian of the Century" by Sports Illustrated magazine. He was the gold standard. 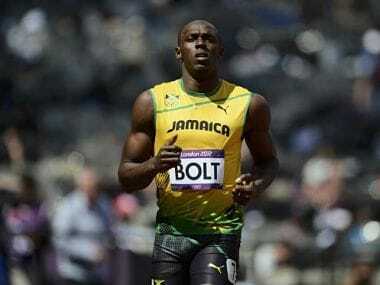 Then along came Bolt, who shattered records like pieces of frosted glass, and made defending the Olympic 100m and 200m seem like a stroll in the park, in some instances literally, as he jogged across the finish line. 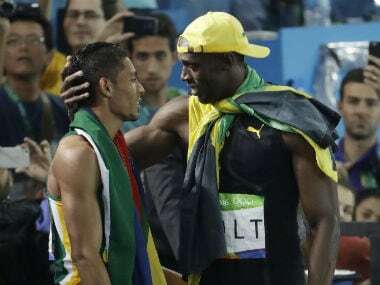 Now it was Bolt being talked about as the greatest Olympian and I wasn't ready for Lewis to be relegated. And yet, I watched Bolt whenever I could, partly in the wild hope that someone, anyone, might beat him, but also because there was the very real possibility that he would do something extraordinary. 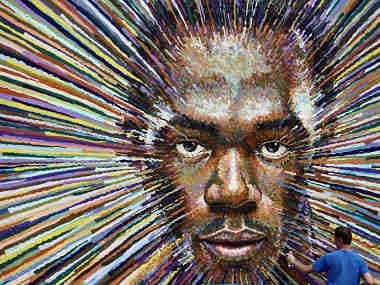 The sight of Bolt unfurling those long legs and getting up to top speed is as visceral a thrill as you can get in sport. Everyone knows what it feels like to run. Watching Bolt is therefore both relatable and utterly, totally, otherworldly. Bolt hasn't been extraordinary in these Olympics — he has just been very, very good — but that is still better than anyone else. His triple-triple — winning the 100m, 200m and the 4x100m relay — in three consecutive Olympics is unlikely to ever be matched, let alone surpassed. Sprinters tend to age in dog years but Bolt has defied that trend. The Olympics also came around at just the right time for him at 21, 25 and finally 29. Now that he's left the Olympic stage and plans to retire after the World Championships next year, I realise that the mistake was mine. Bolt’s achievements do not in any way detract from what Lewis has done any more than what Lewis did took away from what Jesse Owens did before him. 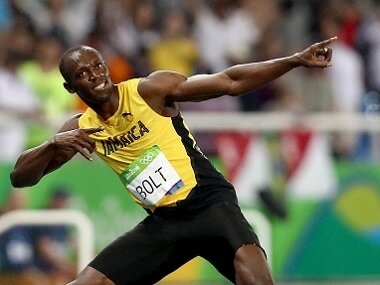 Bolt has simply taken Lewis’s legacy and extended it further, the way a great athlete should. Bolt's records are likely to become for the men what Florence Griffith-Joyner's have been for the women — untouchable for generations. He will leave behind a big void, both in terms of his achievements and his outsized personality that made the sprints a much-watch event. Bolt embraced his genius with a playfulness and light-heartedness that is rare among top-level athletes, who naturally tend to be tightly wound. With the curtain starting to fall, I wish I had appreciated what Bolt was doing while he was doing it a lot more. Greatness comes in many ways. Bolt never had a rival but he didn't need one. He pushed himself because he was competing with history. He didn't take his remarkable talent for granted and turned what was thought to be impossible into gob-smacking reality. His nine Olympic Gold medals ties him with Lewis, a piece of symmetry I can appreciate. It's fitting that these two will be linked in history — the greatest of the 20th century and the greatest (so far) of the 21st. And I at least have the YouTube videos to watch over and over again to make up for missing what I should have seen from the very start.